Thinking About Buying A Home in Napa, CA? Buyer Resources here! When you make the decision to buy a home, you are making a choice that impacts yourself and your family for years to come. Therefore, it is important that you have as much information as you need to make the right choice. Working with a real estate agent is ideal because this person has the knowledge and experience to match you with properties that are ideal today and as your life changes. How Can I Find the Right Home For Me? Everyone wants to buy their dream home that is move in ready and requires little to no maintenance. Unfortunately, there is no such thing as the perfect home. The good news is that you can make any house into your ideal property without having to spend too much time or money doing so. In many cases, taking a weekend to finish the floors or add a new coat of paint to the exterior can refresh an older home or create the color scheme that you have always wanted. The number of properties that you look at before buying a home depends on how long it takes to find what you want. Prior to starting the home buying process, you may want to take some time to create a wish list as well as determine a budget. Doing so will help narrow down your home search and ensure that you are looking only at homes that fit your needs and budget. Your agent will have featured listings that you can browse online and then see in person if it piques your interest. Keep in mind that you are under no obligation to buy or make an offer on a property just because you looked at it. Furthermore, your agent is obligated to show as many homes as you want to see without pressuring you into making a buying decision. What Else Should I Look for When Buying a Home? While you want to live in a home that has everything you want, the neighborhood should also have the amenities that you want or need. For instance, if you have kids, you may want to live in an area with other young families where the kids can grow and play together. You may also want to live in an area close to good schools or where your doctor is located. Working with your real estate agent, you can find a treasure trove of community information to help you better understand the place that you may call home in the near future. How Do I Learn More About the Buying Process Itself? Buying a home is much more complicated than buying groceries or even buying a car. You have to apply for a mortgage, inspect the property and figure out where you are going to get money for the down payment. You may also have to coordinate the closing of your purchase to coincide with the sale of your current home or the expiration of a rental contract. Your agent will provide access to a wide variety of buyers resources to ensure that you know exactly what is going on at all times. Real estate agents can be contacted at almost any time to answer questions as they come up. What Happens When I'm Ready to Make an Offer? When you are ready to make an offer, your agent will ask you how much you want to spend to buy the house and if there are any other conditions you want to include. For instance, you may want say that the offer is contingent on an inspection and being able to take possession of the house within 30 days. While an agent can make recommendations about what to include or not include in your offer, it is ultimately up to you as to what the offer says. After the seller receives the offer, he or she will either accept it, decline it outright or counter the offer. If your offer is rejected, you can submit a new offer if you are still interested in buying the home. What Happens After the Offer Is Accepted? If your offer is accepted, you will put down what is called earnest money. This could be as low as $1,000 or as much as $5,000 or more depending on the purchase price of the home. You provide this money as a show of good faith, and it may be refunded if the deal ultimately falls through or you decide to go back on the offer. Assuming that you stay on track to buy the home, you will then apply for financing and meet with your attorney and the buyer's attorney to sign closing documents and take ownership of the home. Those who are ready to buy a home should contact Carolyn Roberts today. She can help you throughout the entire buying process and make sure that you find a home that fits your needs and stays within your budget. In addition to providing information about the buying process and homes in your area, she can help schedule showings and craft offers to your liking. This increases the odds that you get the home you want before it is taken off the market. Let me find a home for you! 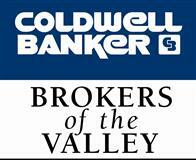 Coldwell Banker Blue Matter Blog - Dynamic and exciting blog from our international parent company.